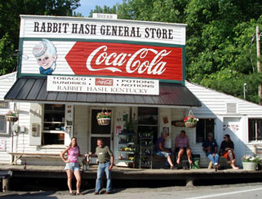 The town's name "Rabbit Hash" is said to have originated during the flood of 1847 when the abundant local rabbit population was driven to higher ground and became a food staple in a special stew called "hash." 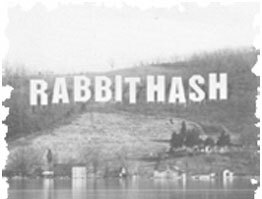 Very little documented history of Rabbit Hash actually survives due to the devastating Ohio River floods in 1884, 1913 and 1937 that deluged the town and ruined many records. On the left bank of the Ohio River at mile #506.1 is nestled the early 19th century river hamlet, Rabbit Hash. It still looks much the same as it has for each preceding generation. This area of Boone County can trace its settlement as a rural community to 1813 when the Boone County Court issued its first ferry covenant bond to Edward Meeks for a ferry boat in this vicinity of the river. 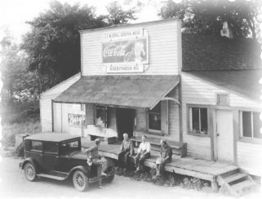 The Rabbit Hash General Store looks untouched by both time and river waters. 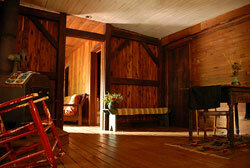 Its large front porch with roof overhang is the town's social focal point. 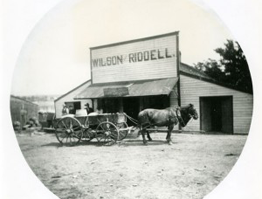 A large painted sign welcomes visitors to the store itself, which still sells groceries and other staple items for local residents. 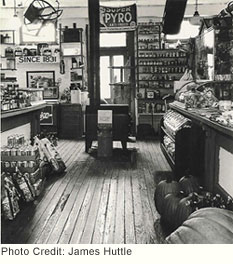 As a major tourist attraction, however, the Rabbit Hash General Store also features historic antiques and collectibles.